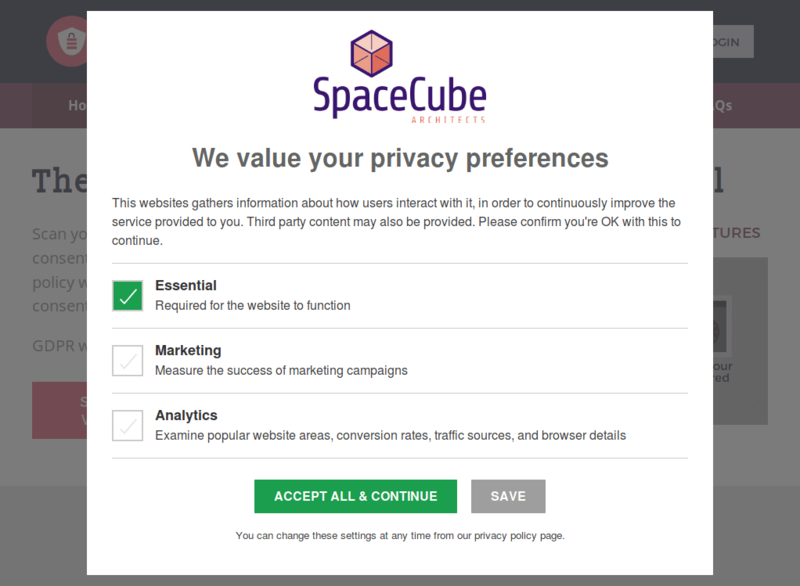 Scan your website to find and add your tags for opt-in consent. 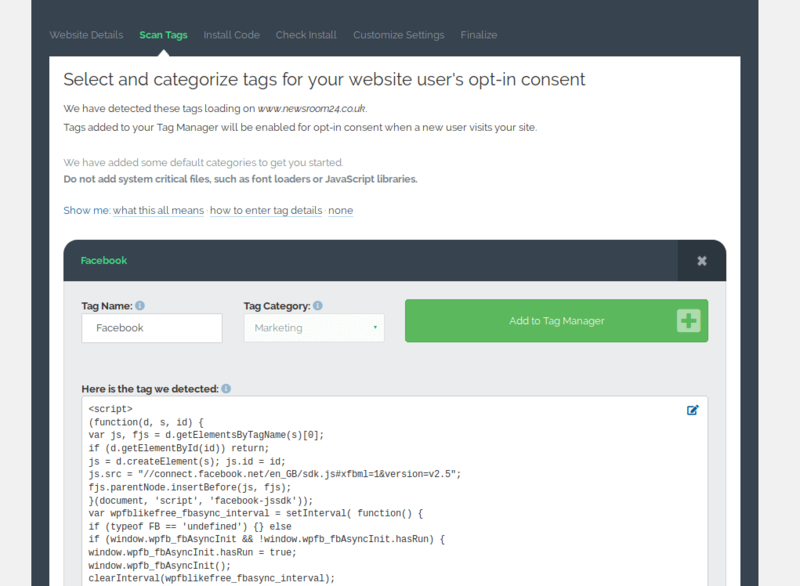 We'll show you how to tweak your HTML and policy wording, and unlike other GDPR tools, we obtain consent before deploying tags. 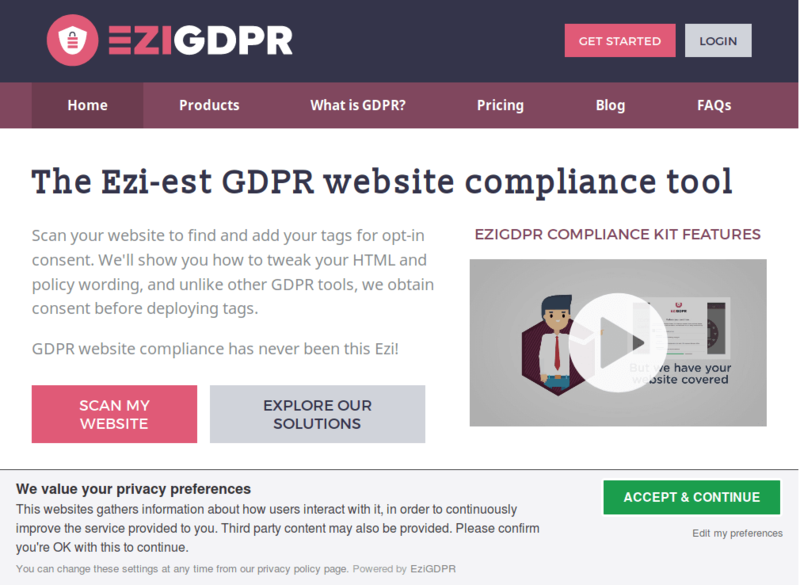 GDPR website compliance has never been this Ezi! Or opt for an opening 'accept all' prompt. Alternatively, go straight in with clear, granular categorised options. 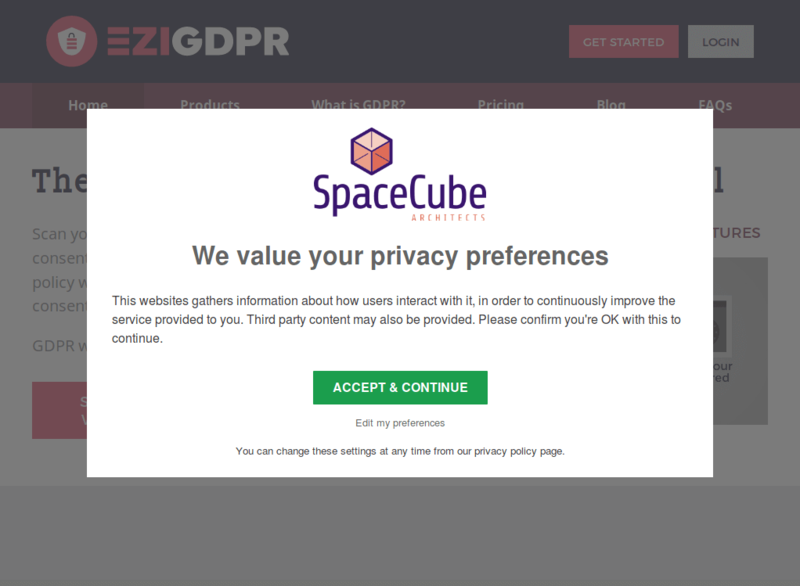 Our GDPR website scanner detects scripts, pixels and other tracking tags in your HTML code. We'll show you where they are, and guide you through configuration. 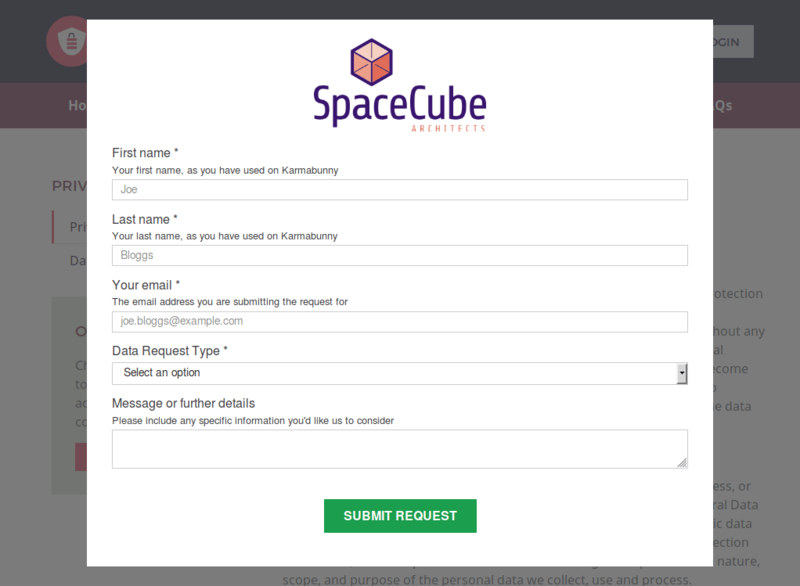 Receive Data Rights Requests through an attractive form, and track them through your admin console. 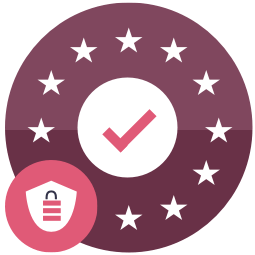 As of May 25th, all websites serving EU customers must comply with strict new regulations called GDPR. 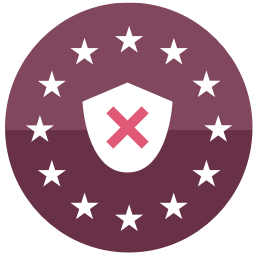 Non-compliance sites may face huge fines of €20 million or 4% of global turnover, whichever is higher.